Significant changes to superannuation will take effect from 1 July 2017. One of the key measures of the reforms concerns the caps on concessional (before tax) and non-concessional (after tax) contributions. Under the reforms announced originally in May 2016, the Government sought to introduce a $500,000 lifetime non-concessional (after tax) contributions cap, which was to have taken effect immediately. This reform represented an enormous shift from the current arrangements, under which an individual under the age of 65 can make up to $540,000 in non-concessional contributions over a three-year period. Not surprisingly, the community and industry response to such a radical shift from current arrangements was resoundingly negative. In response, the Government scrapped the $500,000 lifetime limit in favour of a $100,000 annual cap. • The $500,000 lifetime limit has been dropped in favour of a $100,000 annual cap. • The rules allow the opportunity to bring forward three years of contributions – making it possible to contribute $300,000 in one year. • For the 2016-2017 year, it is still possible to make a contribution of up to $180,000 for one year, or to bring forward three years’ contributions – so you are able to make a contribution of up to $540,000. If you do not use this full limit of $180,000 or $540,000 in the 2016-2017 year, then you will be limited to the $100,000 annual and $300,000 bring forward caps for future years. 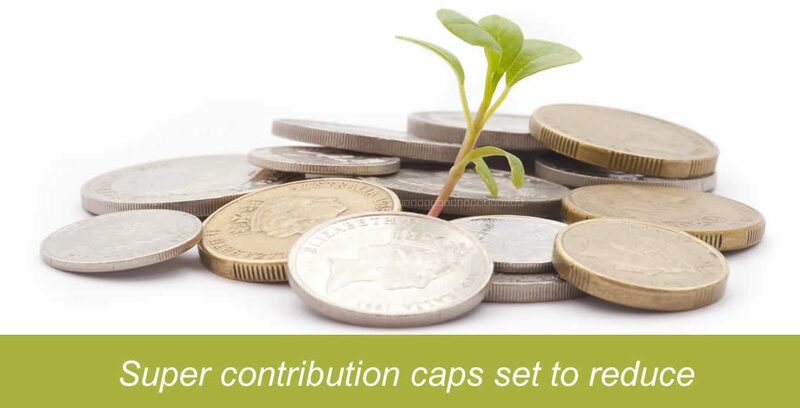 • Where the bring forward of contributions has been triggered before 1 July 2017, transitional contribution caps may apply. • If you have a balance of $1.6m or more in your SMSF at 1 July 2017 then you will not be able to make further after-tax contributions. • When approaching the $1.6m cap care will need to be taken with the bring forward rules as these are restricted by the new $1.6 million balance restriction. • Those aged under 49 on 30 June 2016 can make up to $30,000 in pre-tax contributions. If you wish to discuss how these reforms are going to affect you, please feel free to give McEwen Investment Services a call on 1300 623 936 to arrange a time to meet so that we can discuss your particular requirements in more detail. Click here to book your place for this free seminar. Open to clients of McEwen Investment Services and others with an interest in the reforms and their impact on self-managed super.